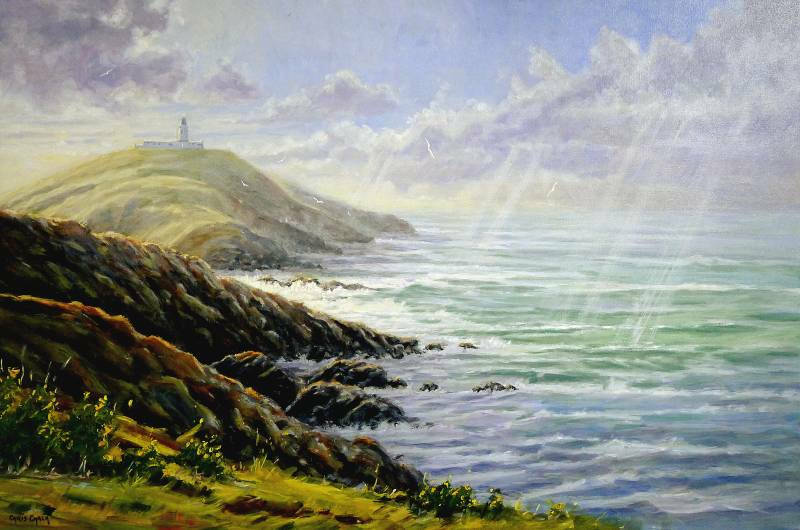 This painting of a lighthouse captures Strumble Head bathed in the dramatic sun light. Strumble head juts out into the sea in mid Pembrokeshire, and is a wonderfully wild and rugged part of the Welsh coastline. "Morning Light, Strumble Head Lighthouse"